This my first meet-up with a Georgia Satyr butterfly. 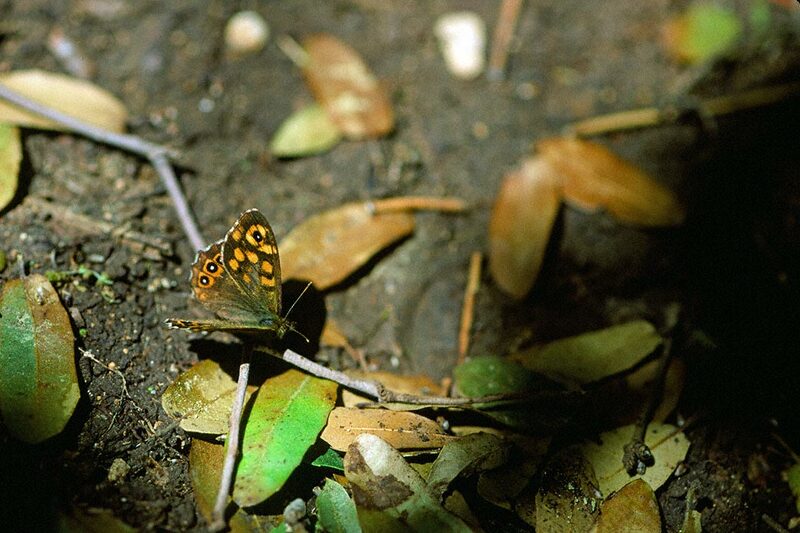 NABA’s Spring/Summer 2015 issue of American Butterflies featured an article, Definitive Destination: Big Bend WMA, Florida. It riveted me, and the very next year, in late August 2016 I drove down to Big Bend Wildlife Management Area. It was a super 5 days. My images taken there were mostly good, but my Georgia Satyr shots disappointed me. They prefer to be inches off of the ground, requiring that you get down, down to their level. Sure you get down, robotically, and when you nearly reach their life space . . . they’ve flown. Several remained still in the early morning. That was good too, but the humidity was oppressive, the sweat cascaded down over my headband, washing my eyes in salt, every shot required that you first made sure that ‘bad’ snakes were not within your circle of activity, and the ‘No-See-Ums’ came divebombing in squadrons. This shot here was the best I got. Slightly embarrassed, I shared it back then. We got back last week from an April 2019 revisit to Big Bend’s Spring Creek Unit, and the lightly visited Old Grade tram (trail) delivered again. This time the very sameNo-See-Ums (sandflies) were worse than 2016, but we did spot 15 Georgia’s. My goal was to score a better image than this one. The Fuji Velvia slides are back from Dwayne’s Photo, and Yes Ma’am, one of them made me smile. As soon as I can get them back from Rewind Memories in Pittsburgh, we’ll be sharing that one. If the scan does the slide justice, it’s color will be rich, it’ll have a pretty decent eye capture, and y’all (Did I spell that correctly, Virginia?) will see what a Georgia Satyr really looks likes, on a sunny late April morning in the Florida Panhandle. Miss this one too. 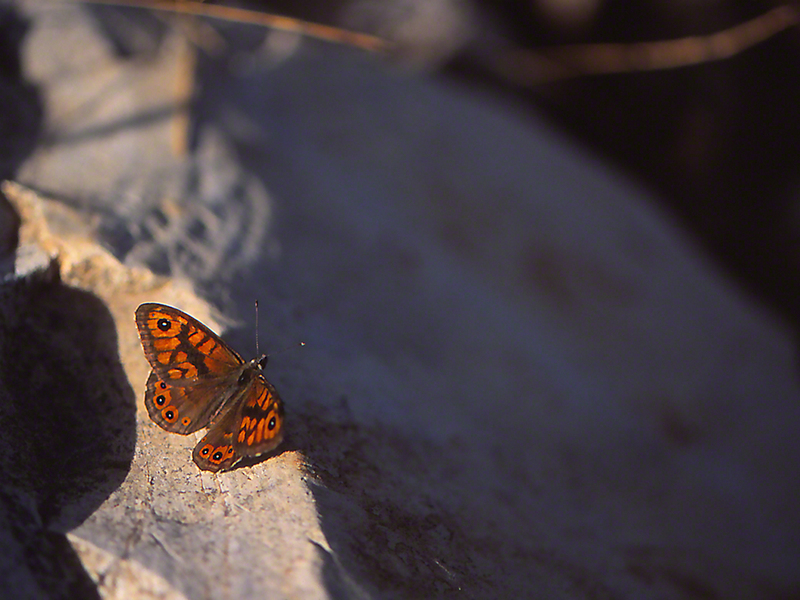 It’s been some time since I’ve seen a Little Wood Satyr. 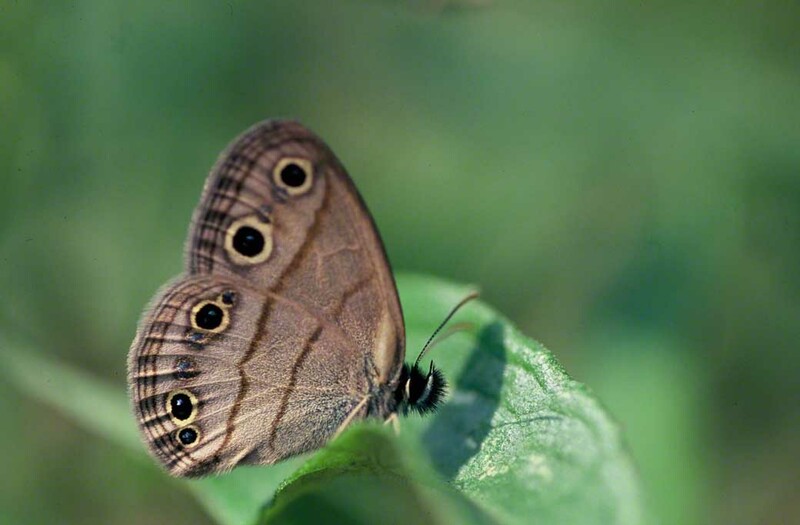 Now relocated to the southeast, what I see are dozens and dozens of Carolina Satyr butterflies. With all respect to the Carolina satyrs, they cannot boast the oversized ‘eyes’ that this one sports. Little Wood Satyrs also give pause for a smile, as the bound about the forest edge with their near ridiculous flight, bouncing, bobbing and weaving. They mean no harm, seem to be purposeful and give those of us who frequent those trails from Maine to Florida, North Dakota to Texas, sweet thoughts and quizzical looks. How the heck do they roam about the forest perimeter, carefree, when there are so many predators and predicaments just waiting for them? I love Little Wood Satyrs and their Big ‘eyes’ and chocolate stripes. We are overdue, we are.